The pride of North Africa can be found in Tunisia. As history would have it, Tunisia was once French owned and the country gained independence in 1956. 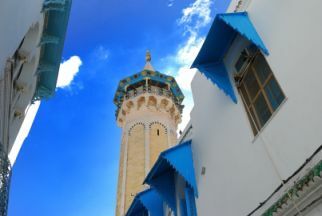 Today Tunisia attracts many visitors on a daily basis and the attraction is as a result of the variety of activities and fantastic views that one can enjoy while on holiday there. Two of the leading tourism locations are in Port El Kantaoui and Djerba. Camel rides are just a heartbeat away when you visit the town of Douz, wgich is located on the Saharas edge. Fans of Star Wars who visit Tunisia would enjoy a visit to Matmata, a village where caves are aplenty and where the Star Wars Tatooine was filmed. Skanes is a resort which is situated between the towns of Sousse and Monastir. Weather-wise in Tunisia the temperatures can be anything from mild to rainy and sometimes you get dry summers since the desert is not too far off.